The original ‘HK’ sound no 113 was based on Sheila’s knowledge as a practitioner of a powerful modality called Holographic Kinetics, she has done a great deal of work with what are described as negative energies or negative entities. The original HK sounds were developed by Sheila to remove the cellular memory levels from the body of having been affected by such energies. Over the years since the original sound a great deal more information has been forthcoming and additional sounds have presented to be used on these more in-depth levels. One of these was sound no 242 Dimensional HK’s and was based on the fact that although in many instances human’s see themselves as all that there is, a negative energy or entity may attach or connect from another ‘dimensional level’ or space. Once attached or taken hold these Dimensional energies can be difficult to remove without the knowledge or tools to do so. 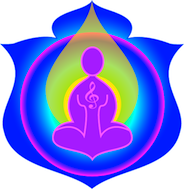 ‘These powerful sounds are available only to selected practitioners who are working with negative energies on a deep level, and who are personally approved by Sheila and Sounds from Source. The original HK sounds were the result of much kinesiological testing and research. When more information and a need for a deeper level of sounds presented some years ago the HK sounds were discussed and a wider range of programs was added to these powerful sounds . As in many instances we did not make a new sound ‘just because we could’, we waited and researched the levels and layers that needed to be dealt with for each new program. Sound no 486 Contractual HK’s has been a few years on the drawing board, and the subject of much testing and refining, it has only recently been recorded in 2015 as we felt that there was a need for it at this time. Comment by Susan – As time rolled on from the original HK sounds – it became clear that more variations of the sound were required to deal with specific areas or issues. This sound was going beyond our ‘usual’ scope of HK’s. As our awareness has increased due to the ever increasing information which comes through from Sounds From Source – it also tends to shine the light more clearly on what you know and can do. To this end willingly or not – one becomes like a bright light and as Sheila often says – ‘If you shine more light – the more bugs you will attract.’ As with all knowledge – the more you know and the more you do with that knowledge then greater challenges come to the fore. This is no exception – we became aware of HK’s at a dimensional level. And so – it became necessary to find a way to deal with these sometimes unwelcome and uninvited intruders. Knowing as we do – that with all knowledge and work – there can be a positive side and a negative side. This sound is to deal with the latter. proper and of benefit to you and becoming paranoid about dealings with all and sundry. Keep some perspective, trust your judgement but at the same time don’t let your imagination or worries run away with you. High level practitioner sound only.